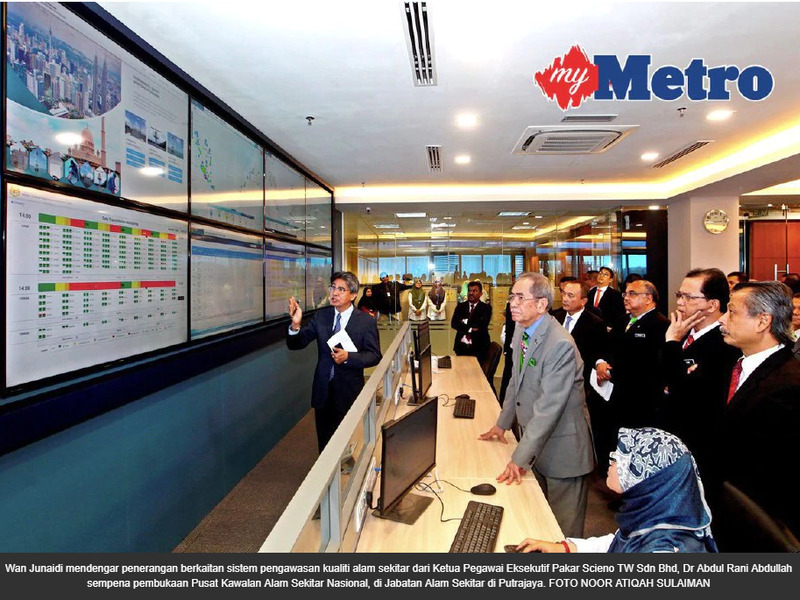 PUTRAJAYA: More monitoring stations that can measure very fine particles and marine and water quality will be built throughout the country starting next year. The new and upgraded air pollutant index (API) stations will be able to measure fine particles that are 2.5 micrometers in diameter and that can only be seen with an electron microscope. The new water monitoring stations can detect real-time oil spills. 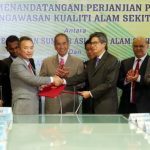 Natural Resources and Environ-ment Minister Datuk Seri Dr Wan Junaidi Tuanku Jaafar said these were made possible under a RM855mil concession agreement for an environmental quality monitoring programme signed between the ministry and Pakar Scieno TW Sdn Bhd. He said the measurement of API would be improved following calls by the public, adding that the new calculation would be similar to the one used by Singapore, where the measurement of fine particles (PM2.5) has been included since 2014. 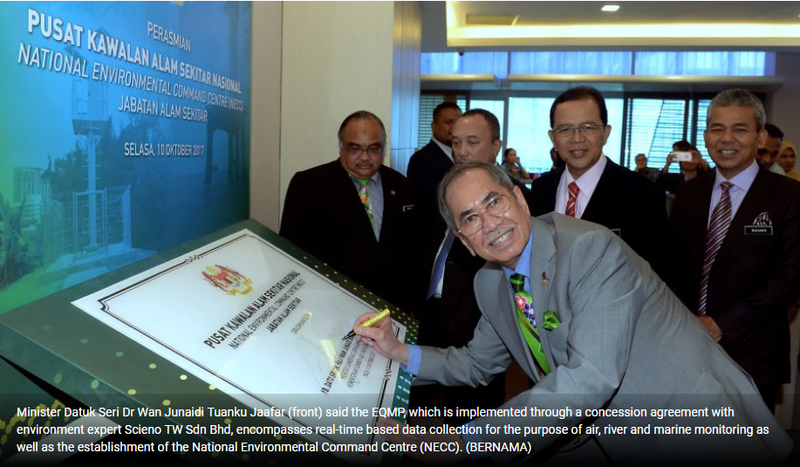 “The environmental quality monitoring programme will provide authorities with real-time information on the quality of air and water in the sea and rivers. “It acts as an early-warning system that allows quick and proactive action be taken should there be haze, oil spills, industrial disasters and illegal dumping of toxic wastes,” he said. 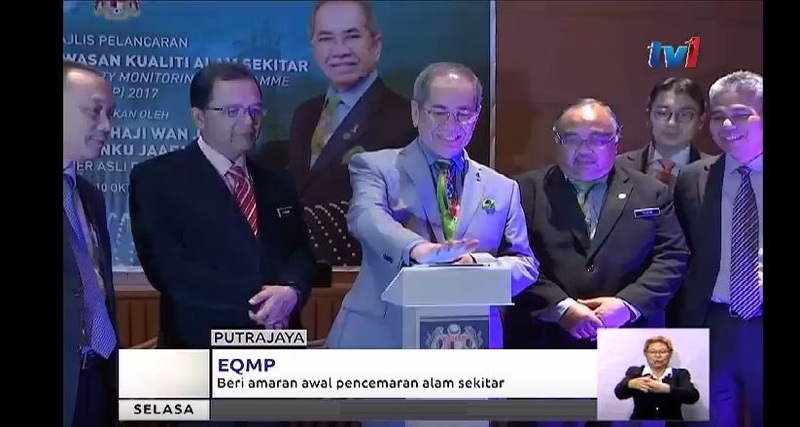 Information collected via the programme would also be used to formulate future policies and in decision making where the environment and people’s well-being were concerned, said Dr Wan Junaidi when witnessing the signing of the agreement. Under the agreement, there will be 82 stations set up to monitor air quality nationwide, 1,387 stations specifically to check water quality in rivers and another 405 stations to monitor marine water. The concession will also see an environmental data centre for forecasting, geospatial mapping and live video streaming being set up to allow the Department of Environ-ment and ministry to take mitigating measures in the event of water or air pollution. Dr Wan Junaidi said the programme would start next year as the concessionaire needed time to install new stations, take over existing ones and recalibrate the machines to meet the ministry’s requirements.